Senior writer jclombardi highlights Packers vs Cowboys game day headlines. Week 9 Game Scout-Packers-Cowboys: Time–7:20 p.m. Sunday on NBC. Keys to the game–On the road with a backup quarterback behind an aging offensive line and with a receiving corps that tipped multiple passes that turned into interceptions last week, Dallas must establish the run early. The Cowboys are averaging just 3.7 yards per carry, but the Packers are ranked 25th against the run and Dallas doesn’t want to fall behind and force the issue against Green Bay’s opportunistic secondary. The Packers’ offense is highly one-dimensional and will move the ball if QB Rodgers is protected. Rodgers will be without WR Driver and needs Jones and Nelson to pick up the slack. 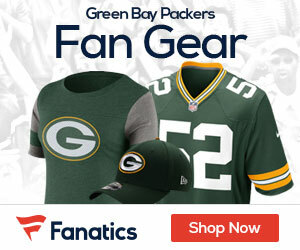 Game plan–Packers should be able to overcome their never-ending rash of injuries to extend their winning streak and go into the bye week on an upswing as the NFC North leaders with a 6-3 record. Yet, a talented Dallas team can’t be overlooked even without star quarterback Romo. The Packers ostensibly catch a break that the aging Jon Kitna will be under center and likely throwing a bunch with little movement in the pocket. That should sway defensive coordinator Dom Capers to dial up the blitzes. Packers’ Matthews has football in his blood: Every family has its ways. To be a Matthews is to be passionate and supportive and, above all else, absolutely driven to do your best. So driven that it has sent four of its men to the NFL over three generations: Clay Sr., Bruce and Clay Jr., and now Clay Matthews III, the Green Bay Packers outside linebacker who leads the league in sacks. “It’s just what we’re good at, really,” Clay III said. “Who knows if football didn’t work out what we’d do? It just so happens we like ramming our heads into other guys out there.” Senior Clay Jr. was a linebacker who played on USC’s national championship team in 1974. He was an All-American in 1977. In the NFL, he was a four-time Pro Bowl linebacker who put in 19 years with the Cleveland Browns and Atlanta Falcons. He is the oldest NFL player to get a sack, at age 40. His last playoff game was at Lambeau Field, Dec. 31, 1995, as he chased an elusive quarterback named Brett Favre. Clay Jr. and Leslie had five children: Jennifer, a former high school valedictorian; Kyle, a former safety at USC; Brian, who writes for a USC sports website; Clay III; and Casey, a linebacker at No. 1 ranked Oregon who has been nominated for the Butkus Award, which recognizes the nation’s best college linebacker.